Tired of the tried-and-true? Give one of these rare tropical flowers a whirl. 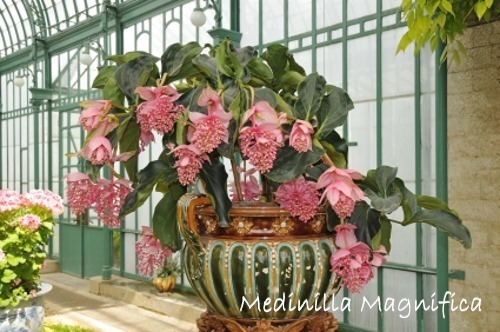 Medinilla magnifica is one of the most elegant flowering plants you'll find anywhere. This tropical native likes plenty of warmth, light and humidity. Give it what it wants and you'll enjoy magnificent clusters of rosy pink flowers in spring and summer. 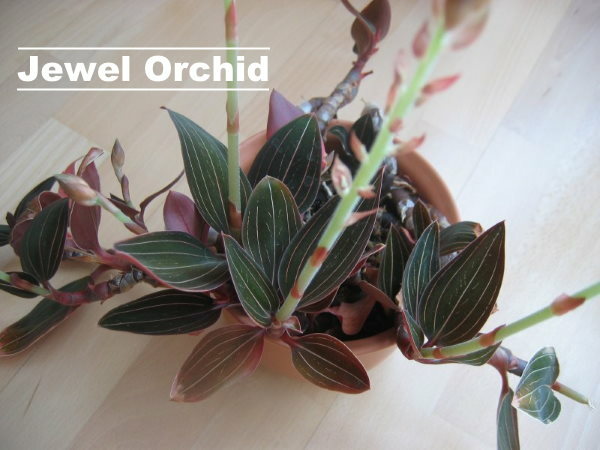 Of all the orchids we love to grow, jewel orchids are among the easiest to please indoors. Dark, velvety leaves with silver pinstripes make them stand out from other orchid species. The tall creamy white flower spikes that appear in winter are merely an added attraction. 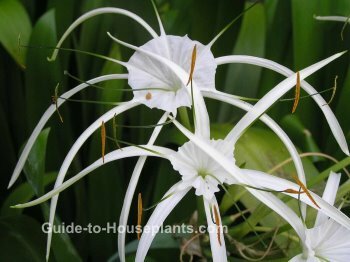 Spider lily bears fragrant, white flowers with long, slender segments that radiate from the center, giving the whole bloom a spidery look. Give this lesser-known member of the Amaryllis family plenty of light throughout the growing season and you'll find it is a joy to grow indoors. Need more space for your house plants? Indoor plant stands may be just the solution. Take a look at these new ways to display your house plant collection. 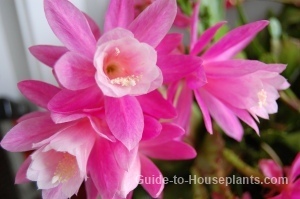 You'll recognize the orchid cactus as a relative of the winter-blooming Christmas cactus. Its succulent, segmented stems look just like the holiday favorite. However, this beauty blooms in spring -- and those flowers are spectacular! Somehow orchid cactus is more elusive than its cousin, but well worth seeking out. Discover the many types of Bromeliads you can grow indoors. This family includes captivating tropical flowers... and they're easy to grow. Want an unusual plant? Check out the black bat flower. This rare, exotic flower has a "wing span" of nearly a foot. Oh, and it has whiskers, too. Pineapple lily makes the perfect container plant for your sunny porch or sunroom. You'll love its delightful fragrance. 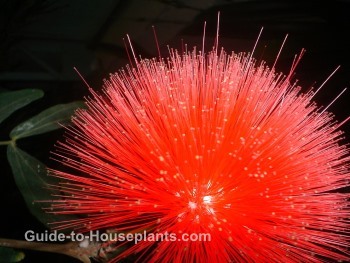 Imagine growing a plant covered with red powder puffs in your home. This South American beauty flowers abundantly when it gets what it wants. Bright light, plenty of humidity and your warm home will keep it thriving and blooming. Each "flower" is made up of stamens and lasts for several weeks on the plant. Over time, powder puff plant will grow into a tree, but you can keep it small with regular pruning. In fact, there are dwarf varieties better suited for growing in a pot indoors. 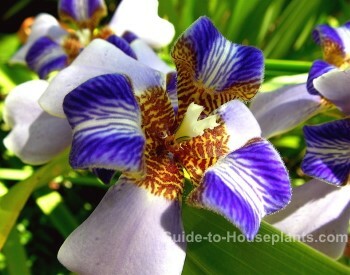 This South American member of the iris family isn't well known as a houseplant, but I believe it will be someday. Walking Iris just hasn't hit its stride yet. Those blue-and-white blooms are simply stunning. Give this rare tropical flower bright light and the same warm temperatures you prefer, and you'll find it's easy to please in your home.